Magical Ties is coming out in July 2016! 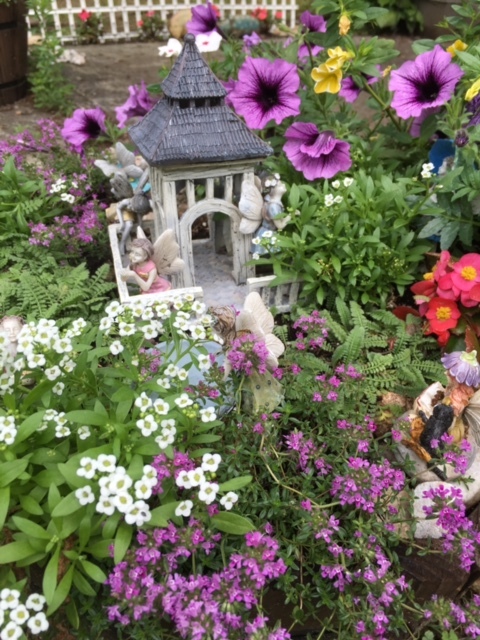 The other day I was in a friend’s garden and was entranced: She had created fairy gardens in pockets of the land. 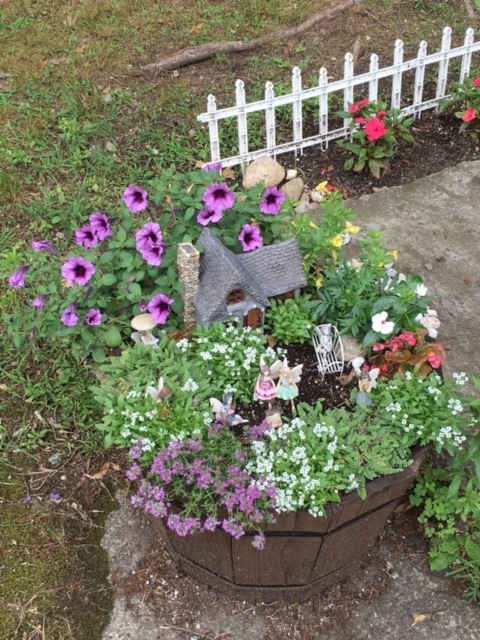 I hadn’t realized that what I absolutely needed was to be near a fairy garden. 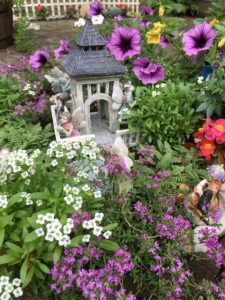 She told me that some people create these gardens with the idea of offering real fairies a place to live. 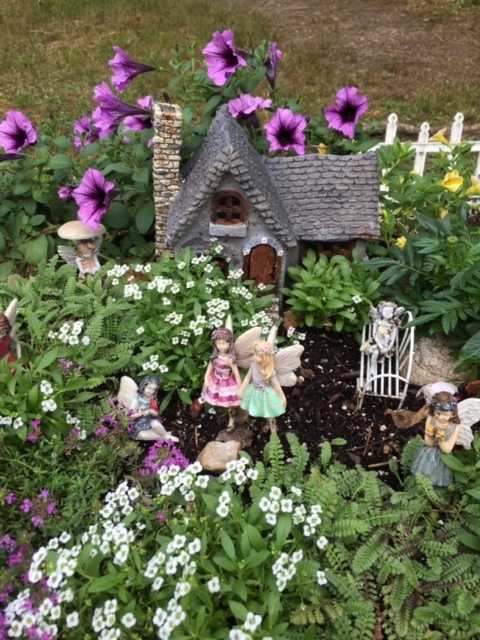 She decided to add her own fairies, though. 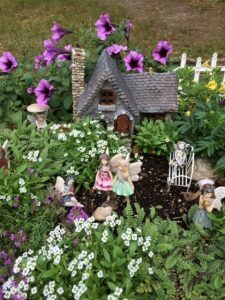 I personally think real fairies would find her creation just as charming, in the same way we put statues in parks. Here’s hoping you find your way to one of these oases that spark the imagination and offer moments of wonder. How charming! What a lovely idea. 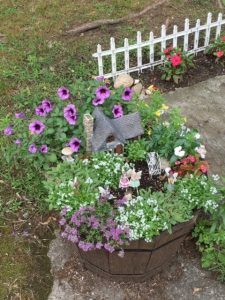 If I had a garden I would do this!